The Serchio white dresser is a combination dresser and changing topper where diapers and clothes are easily stored and accessible. 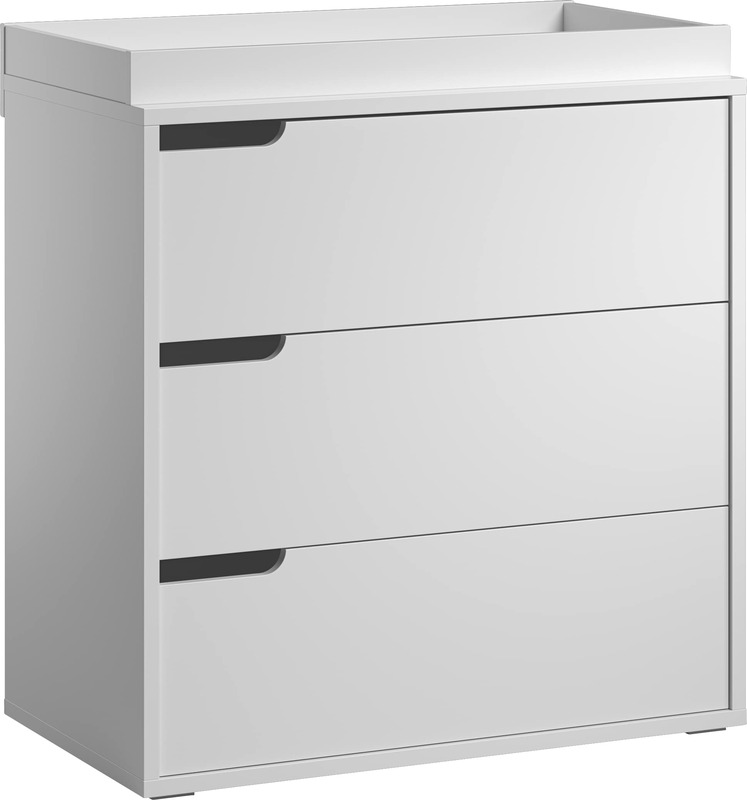 The modern and versatile cabinet has three roomy drawers that are opened with special cutouts on the drawer fronts. The changing topper is attached to the dresser, but as your child grows, it can be easily removed to leave you with a chic and convenient dresser for your toddler. Pair with the Serchio white convertible crib for a complete and modern sleek look. This nursery furniture will stand the test of time as it adapts to the needs of your growing child.